Britain’s banks could cope with a “disorderly” Brexit without needing to curb lending or be bailed out by taxpayers, the Bank of England said today (28 November) after carrying out its annual health check on lenders. For the first time since it started ‘stress-testing’ banks in 2014, none of Britain’s major lenders would need to raise extra capital, the BoE said. The stress tests are primarily calculated on the basis of the amount of capital banks hold at the start of 2017. Barclaysand Royal Bank of Scotland failed the test on this basis, but do not need to raise extra capital now as they increased capital during the course of year. The news will come as a partial relief to finance minister Philip Hammond, who is looking to sell 3 billion pounds of public holdings of RBS shares during the next financial year to help reduce public debt. 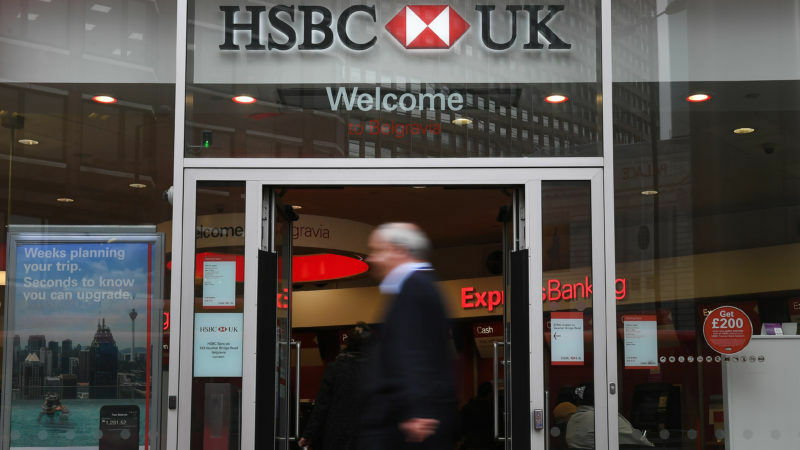 HSBC, Lloyds Banking Group, Santander UK, Standard Chartered and the Nationwide Building Society all passed the test without reservations. Britain’s economy has lost momentum this year as higher inflation – largely due to the fall in the pound after June 2016’s Brexit vote – eats into households’ disposable income. Last week government forecasters sharply downgraded their outlook for the next few years, predicting annual growth of barely 1.5% – almost a full percentage point below Britain’s historic trend. Britain is due to leave the European Union in March 2019, and the BoE’s Financial Policy Committee reiterated that a “timely agreement” on an implementation period for transitional arrangements would reduce financial stability risks. However, even if Britain crashed out of the EU, the BoE said the latest stress test suggested banks were strong enough to cope. “The FPC judges the UK banking system could continue to support the real economy through a disorderly Brexit,” the BoE said in its half-yearly Financial Stability Report. Nonetheless, British and European Union lawmakers needed to pass new laws to ensure there was no disruption to 26 trillion pounds worth of cross-border derivative contracts and 36 million insurance contracts held by EU and British policyholders. The BoE said it was not clear if the banking system could cope easily with a disorderly Brexit if it came at the same time as a severe global recession and further substantial fines for financial misconduct at banks. The central bank said it was pressing on with plans to raise a risk buffer to 1 percent from 0.5 percent with binding effect from November 2018. This extra was already covered by capital banks held in excess of the regulatory minimum. The BoE said it would look in the first half of next year at whether this buffer needed to be raised further. The 1 percent rate of the counter-cyclical capital buffer corresponds with what the BoE views as a “standard” risk environment. Aside from Brexit, Britain faced “material” risks from global debt levels, asset valuations and misconduct. Domestic consumer credit growth represented a “pocket of risk”, the BoE said, echoing language used before. But it added that borrowing was not that high relative to income. Britain’s current account deficit – which government forecasters expect to exceed 4 percent of GDP for the foreseeable future – was also a material risk, the BoE said. Investors’ appetite for British assets could slump if the growth outlook darkened or there was a loss of confidence in British economic policy or its openness to trade and investment, the BoE said. “Such a disruption could … drive further sterling depreciation, potentially triggering a build-up in inflationary pressures and lead to a downward adjustment in domestic demand,” the BoE said. The central bank added that it would set out its policy for approving EU banks to operate in Britain by the end of the year. Separately, it is urging banks to consider long-term risks to their business models from new financial technology and slow economic growth.